SmartBaffle is available in 16” and 24” stock sizes. These insulation baffles are strong, durable, easy to work with and can be used in new construction or retrofit during renovations. SmartBaffle 16 out-of-the-box size is 18.5”W X 37.5”L X 4mm (thick) and is constructed of rigid, corrugated plastic with two bending routes each route at 2.25” in from the long edge. After installed, the SmartBaffle is 14″ wide with 2″ flanges. These insulation baffles are strong enough to support spray foam expanding insulation creating the required air chute most shingle manufacturers require for shingle warranties. Each piece can be very easily cut in half using a standard utility knife. The SmartBaffle can be cut in half for double coverage at the eaves area to guard against insulation blockage. Each cut piece would be 18.5” in length. The SmartBaffle can be installed with a bent down starter to seal the soffit insulation as a weather barrier by simply scoring the two side flanges and bending down at the appropriate distance. 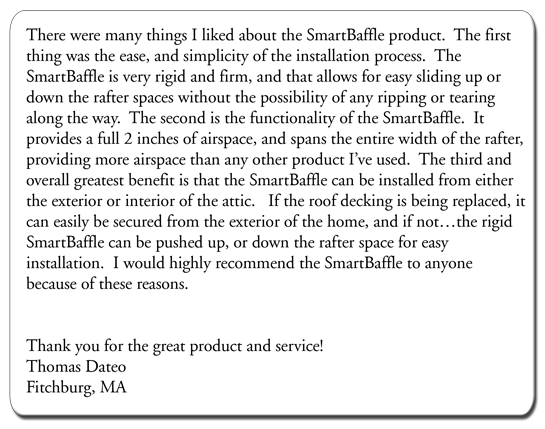 What’s more is that the SmartBaffle can be installed from the roof or from the inside room or attic. As you can see the SmartBaffle is very versatile and cost effective. Green Building Advisor is a great source for contractors and homeowners alike to find information about remodeling, designing and overall improving a home. We are always pleased to see when a product that we offer is recommended in their articles. Here is one that is well worth reading. Description:The SmartBaffle is 37.5”L X 1/8”(thick) corrugated plastic with double bending routes at 2.25” in from each long edge. Each piece can be cut in half for double coverage at the eaves area to guard against insulation blockage in the open attic rafter spaces. 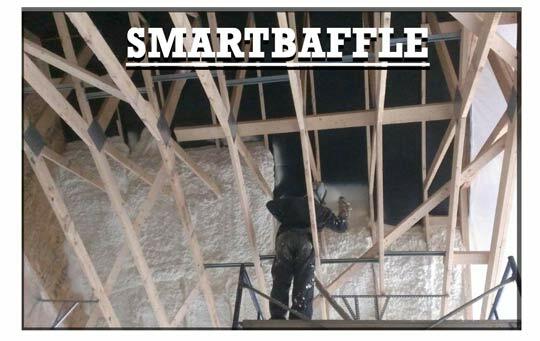 SmartBaffle is designed for use with fiberglass insulation, loose fill insulation or spray foam insulation. SmartBaffle will keep the insulation away from blocking the intake air from the soffit. Air will travel up through the chute created by the SmartBaffle. SmartBaffle is also designed for rugged, unbreakable use and handling. SmartBaffle is constructed of non-collapsing material with lifetime durability. Ease of installation by the contractor is achieved by the design, engineering and technology inherent in the SmartBaffle product. 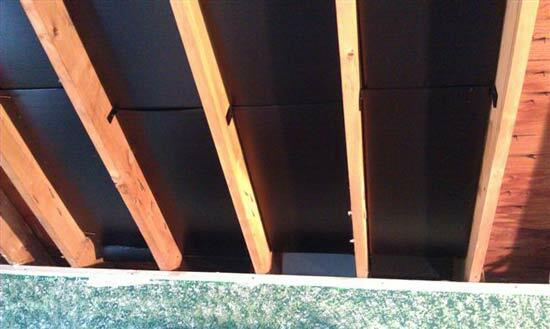 There are many ways to secure the SmartBaffle but the universal method is to use an 8D nail under each side against the rafter, forcing the SmartBaffle flanges tight to the roof decking. Generally one at the center of each piece, one on each side rafter, should be adequate. Only drive the nail about 1” in the rafter which should be enough to hold the SmartBaffle in place. Continue until the desired amount of SmartBaffle is installed. Follow up by installing the insulation. 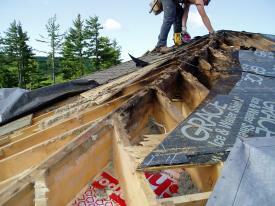 Insulation should fit loosely in the remaining rafter space to gain the maximum ‘R’ value (winter) and ‘U’ value (summer). 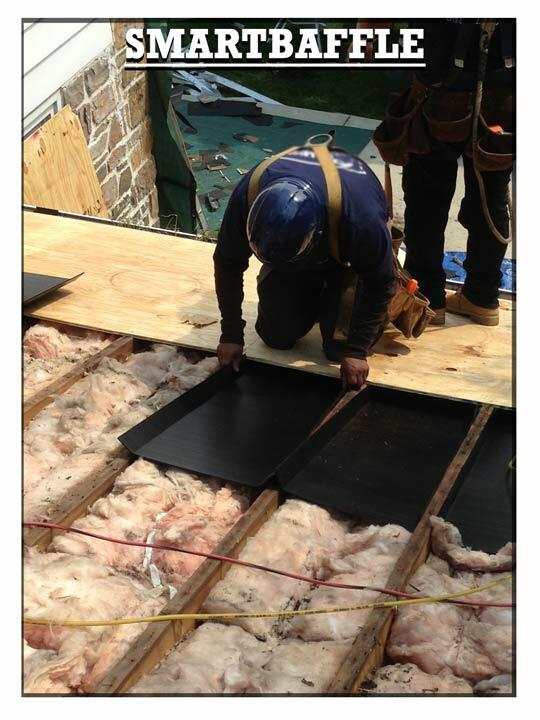 No insulation should be in the 2” chute created when bending up the side flanges against the roof deck. Question: Can SmartBaffle be installed in other than new roofs? Answer: They can definitely be install in existing buildings. SmartBaffle is easily installed from inside the attic also. Because SmartBaffle has a 2″ airspace it bypasses all the roofing nails making is very easy to install. It also spans the entire rafter bay to give full airflow, maximizing the ventilation system. Call or send us a message, if we can help with any other questions. Question: Other insulation baffles are 48″. Why is SmartBaffle smaller? Answer: We make the SmartBaffle in 37 1/2“ lengths for easy handling during installation and maximum strength. We understand your use and we have many contractors combine multiple baffles together to make them even longer. They can be made to 6’,9’, 12’, etc. We have even had contractor use an electrical fish or wire to attach to the baffle, because they are so durable, and pull them through each rafter bay. Hopefully this helps. Always feel free to call us too. We make suggestions all the time for specific tougher projects. DCI Products is a proud member of the Spray Polyurethane Foam Alliance (SPFA).